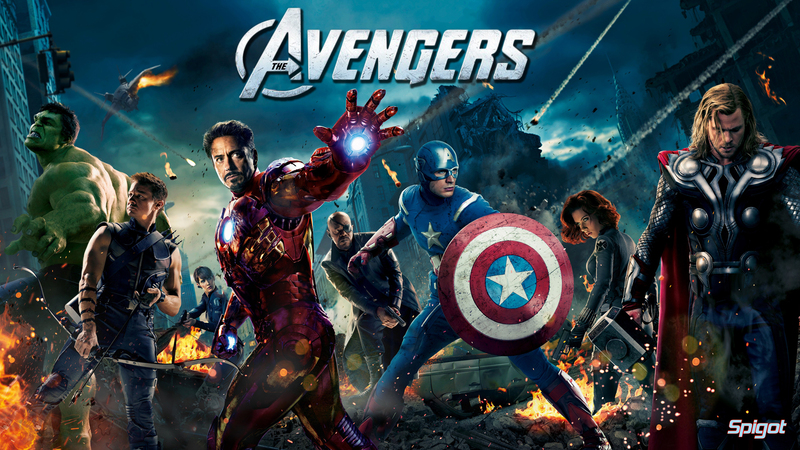 Dis movie have everyting you would expekt from a summer blockbuster. Humor! Fun! Action! Dazzling speshul effekts! Cracking dialogue! Overlong running time! And some developments dat not make sense – but be pretty cool anyway. 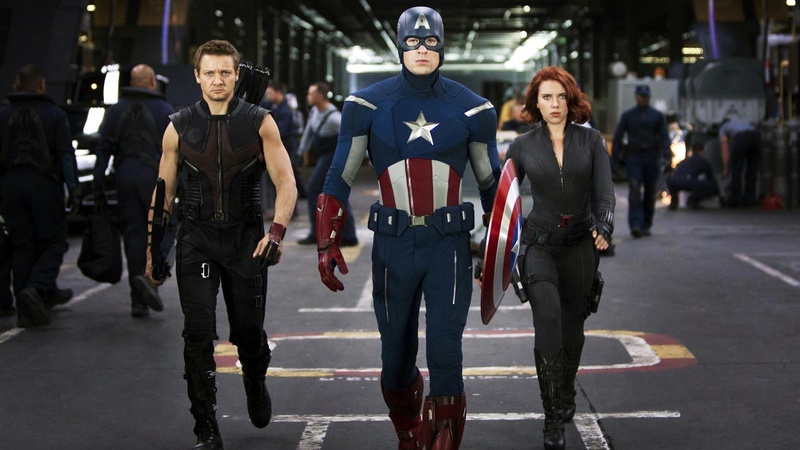 Movie begin at top secret S.H.I.E.L.D. facility where scientists studying glowy box very similar to one we saw in Captain America: The First Avenger. Dey call it a tesseract and it be a powerful energy source – dat, it turn out, able to open a portal to distant part of de universe, allowing mischievous Loki, brother of Thor, to reach Earth. He attack facility, put scientist and superagent Clint Barton (aka Hawkeye) under his mind control, den leave wit tesseract. Nick Fury respond by self-destructing facility wit hundreds of agents inside. But plenty more where dey come from! 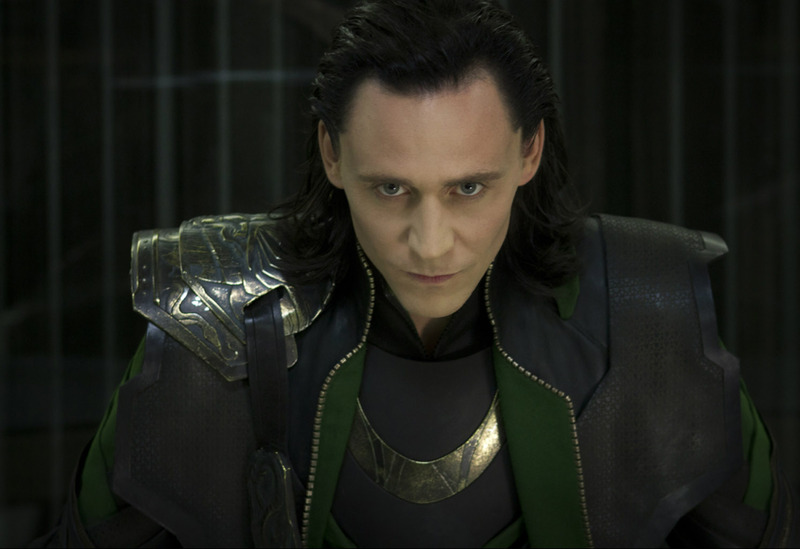 Loki plan to use tesseract to power another portal dat will allow aliens to invade Earth (Why never be really explained. Because dey covet our resources? Because dey spiteful? Because dey pissed off wit Downton Abbey turd season finale?). To do dis, he need to stabilize power source so, while Hawkeye steal iridium for him, he create distraktion in Stuttgart dat end up wit him giving himself up to Iron Man and Captain America – and, later, brother Thor who show up for classic “pre-Oh, we’re all good guys after all!” fight. Loki imprisoned in ultra-cool flying aircraft carrier (de Helicarrier) while Earth’s Mightiest Heroes (and Black Widow and, mebbe, Captain America) try to figure out why he gave up so easily, where tesseract be located, and what be up wit his glowy space scepter. De Hulk. It turn out DAT was Loki’s plan all along! He wanted Bruce Banner to Hulk Out and cause damage! But why? He already have tesseract and working on impervious force shield to protect it. Why bother wasting time wit superheroes? Because he be mischievous? It feel like a giant stage weight – but a spectakular, action-packed, very cool stage weight anyway. Heroes figure out where Loki set up tesseract = on top of Stark Tower! Dey head off to stop him – along wit Hawkeye who seem all better after getting konked on de head. Even though he lead attack on helicarrier and was working for Loki an hour earlier, he immediately accepted and trusted by everyone. Dis movie have no time for second-guessing! It have a climaktic to get to! But bad news for heroes! And New York! Loki succeed in opening portal and alien army arrive! No way to stop dem because portal protected by impervious force field! Ah, dey not dat tough. But great news for heroes! And New York! 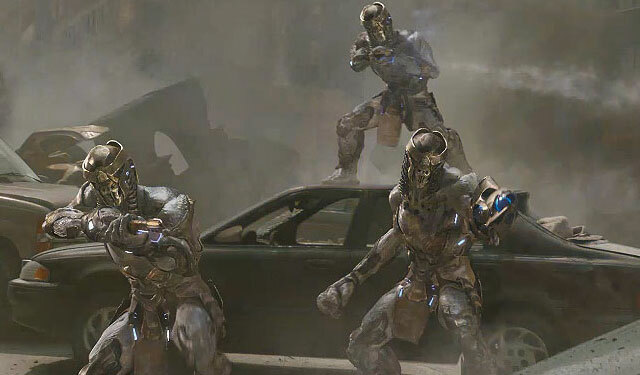 Alien army may look scary and tough, be almost seven feet tall and armor plated, but regular humans like Hawkeye and Black Widow have no problem kicking deir asses or punching deir lights out. Also, turn out impervious force field NOT impervious after all because mind-controlled scientist who built it created fail safe in de system…despite de fakt he be mind-controlled. While Black Widow work to turn off portal and heroes battle aliens, Iron Man fly nuke up through portal and straight to alien HQ special delivery. He power down and plummet – just as nuke explode and portal closes. Luckily, he saved by Hulk! Speaking of which: What up wit Hulk? In previous movies, it take him a while to Hulk Out but, in dis movie, he do it faster den a speeding bullet (Literally – Bruce Banner tell heroes he try to shoot himself in mouth but Hulk spat out bullet). 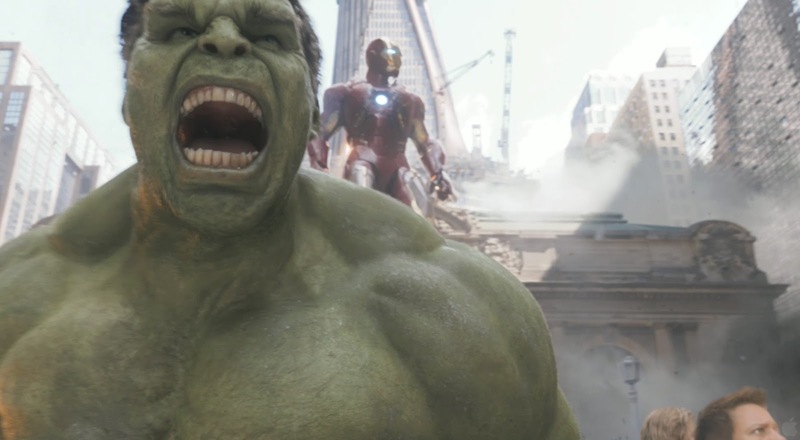 Up on helicarrier, Hulk a crazed beast dat can’t be reasoned wit and attack innocent people – which be someting he never do in previous movies, only attacking dose who attack him first. But later, in movie, he seem to have control over when he can Hulk Out (“Oh, I’m always angry” be de excuse) and he not only can be reasoned wit, he aktually take orders from Captain America. You can argue dat, back on helicarrier, he under influence of Loki’s space scepter – but den why only him and no one else? Still, Hulk’s “mopping de floor wit Loki” sekwence one of movie’s high points! Day saved! Time for celebration! Even though probably thousands of New Yorkers killed. World loves Avengers! Verdikt: And so does Cookie Monster!